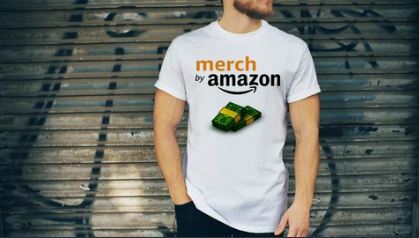 Learn How To Do T-shirt Design And Start Your Own Successful T-shirt Business With Merch By Amazon. Start Building Your Own Successful T-shirt Business In Online! Merch By Amazon is a great print on demand platform. You can easily make money in this platform. Just upload your design and amazon does the rest of it. (prints the t-shirt, delivers it to the customer, takes care of returns, etc.) And you get paid for every unit of t-shirts is sold. You don't need advance design experience. And the best part of this Merch by amazon platform is - there's NO NEED TO MARKET YOUR T-SHIRT! You make sales easily from Amazon's huge organic traffic. It's a great way, and i think it's the most easiest way of earning passive income. As I said before, Merch by amazon is an awesome platform to your t-shirts online & However, there are plenty of mistakes you can make so it's best to find out more about the print on demand industry before you start the journey.